I like taking Hawaiian Spirulina by Nutrex Hawaii everyday instead of other multi vitamins because of all the nutrients naturally present. I'm not good at swallowing pills. 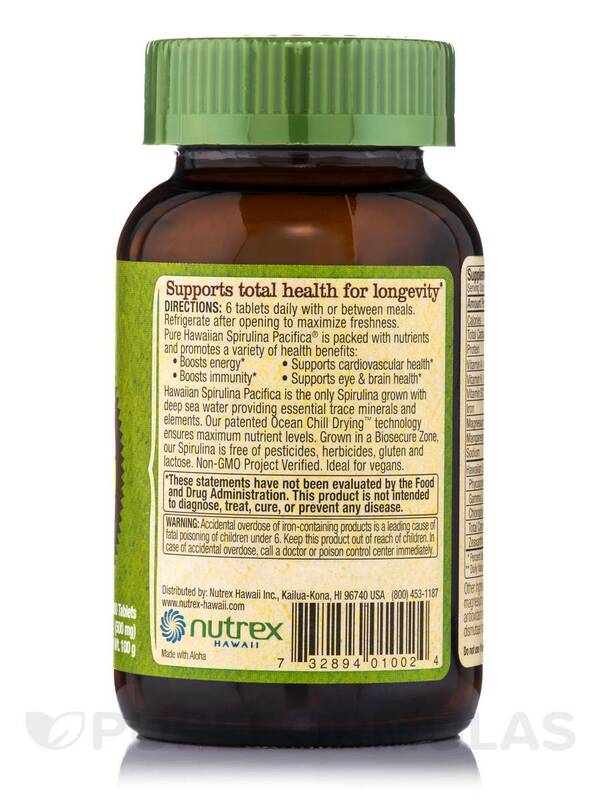 Hawaiian Spirulina 500 mg by Nutrex Hawaii one is small and goes down easy. Will keep this brand, Plus, it's pure. 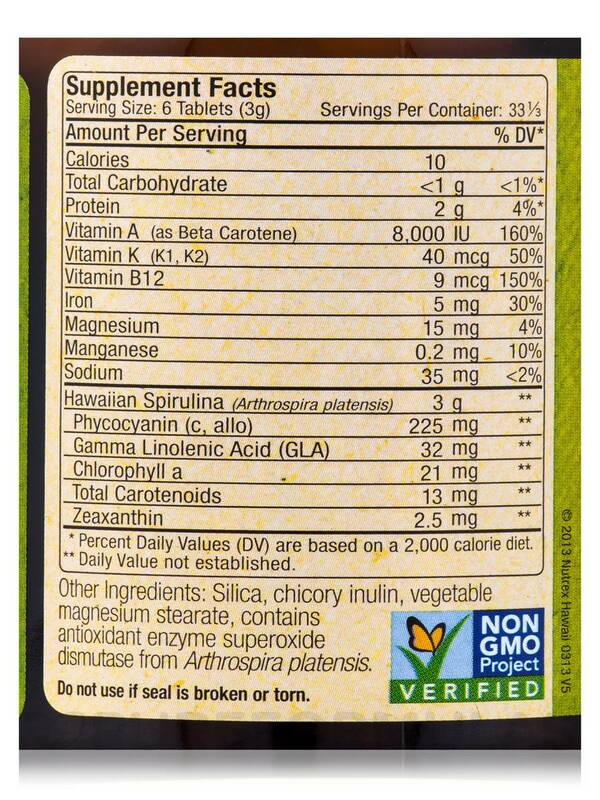 I've been taking Hawaiian Spirulina 500 mg by Nutrex Hawaii for over a year. I used live in Hawaii so I wanted to try it. Excellent product, reasonably priced. I use the tablets so if I am on the go, I can take them with me. 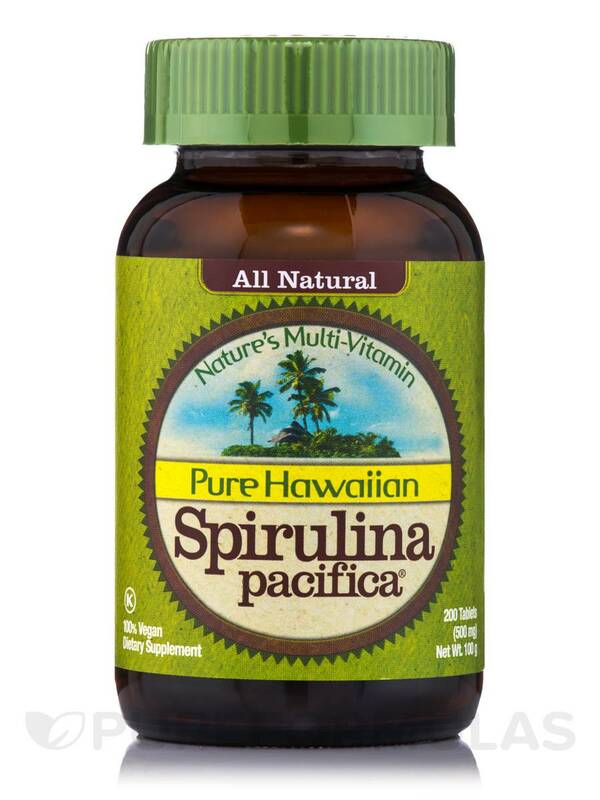 Hawaiian Spirulina Pacifica is the world’s most nutritious whole food. If you have yet to benefit from Spirulina's incredible energy boosting and immune enhancing properties‚ this bottle is an ideal introduction. 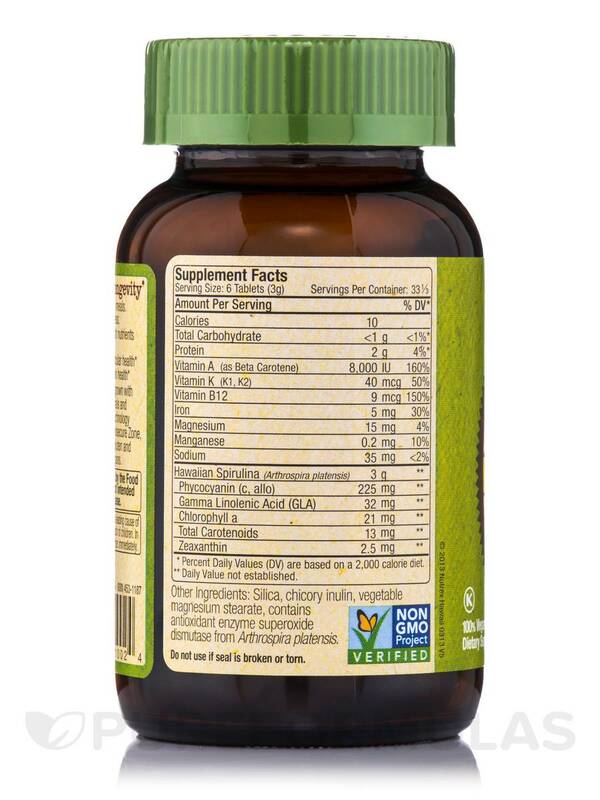 With a serving size of six tablets recommended per day‚ this jar provides a little more than a month's worth of Spirulina. A month is the perfect amount of time to get you acquainted with the healing properties and see a real difference in your energy levels. - 100 % Vegetarian‚ 100 % Vegan‚ Kosher Certified‚ Non-GMO. - Free of Gluten‚ Lactose‚ Soy‚ Pesticides‚ Herbicides‚ Solvents. Other Ingredients: Silica‚ chicory inulin‚ vegetable magnesium stearate‚ contains antioxidant enzyme superoxide dismutase from Arthrospira platensis. As a dietary supplement‚ take 6 tablets daily with or between meals. Accidental overdose of iron containing products is a leading cause of fatal poisoning of children under 6. Keep this product out of the children. In case of accidental overdose‚ call a doctor or poison control center immediately. Refrigerate after opening to maximize freshness. The product tastes so clean! Easy to take with just water. Also add them to my green drinks! Wonderful product. Small aspirin size tablets, easy to swallow, mild taste. 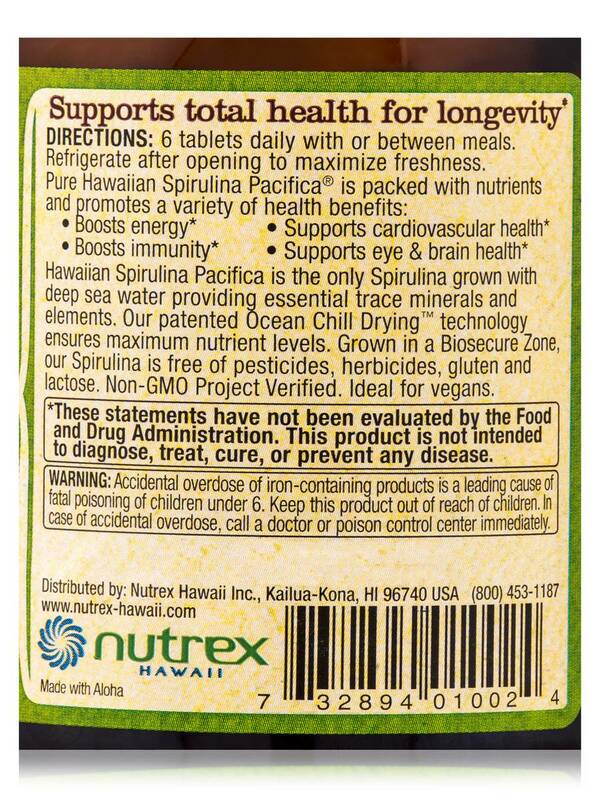 I like Hawaiian Spirulina by Nutrex Hawaii. It's like a vitamins to me. I like the taste and it is easy to swallow.